THE BRITISH RAILWAY STORIES LTD: "Exciting times & International Engines"
the first "International" character of the stories. I can't remember feeling quite so positive about the future of "The British Railway Stories". We've had some fantastic reviews online, on blogs, forums and the Amazon sites, we've recently revealed via Twitter and Facebook, two of our new "International" locomotives (see above for Qian-Jin and below for Birgit, pronounced Chyen - Gin and Beer-get respectively. 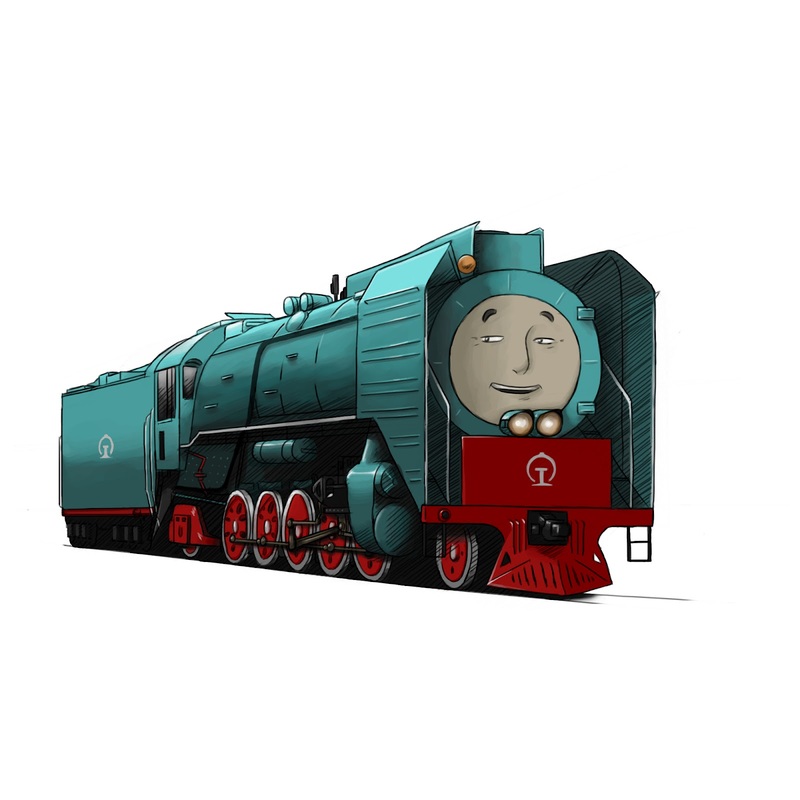 They are the Chinese and Bavarian locomotives who will join the British Roster of steam locomotives this year). During this year, when our long awaited new main website will open to the public (the Facebook group will in the next few months get a look at the work-in-progress as part of Beta testing), the International characters will have their own section, with a few short stories and forms for expressions of interest for full eBooks to be produced on these characters. The idea is to provide a way of learning basic Chinese (Mandarin), German and Russian alongside learning more about the history of steam railways abroad. These books are not the main priority for the stories but I can and will develop them further if the interest is there. If you are of a different nationality to those outlined above, and you'd like us to do an eBook on a particular portion of your country's railway history, drop me a line at copleyhill@live.co.uk and outline your thoughts on the matter. I'd love to be able to put together a more global catalogue of books which encourage reading, learning, and being entertaining across the world with regards railways. On another note, I took a step closer last night to the "Tale of the Unnamed Engine" eBook being available on Barnes and Noble's eBook service, and iBooks too, and I anticipate that both will be available towards the end of August. It has taken longer than expected but hey, we're nearly there now! Behind the scenes, I have been working around the clock with Dean to sort out various parts of the company's setup and discussions towards contracts for future eBook installments, which brings me neatly onto next year's plans. We want to release at least two eBooks next year, cross platform, and I am currently pitching ideas to Dean for characters and artwork. The idea at present is for a Summer and a Christmas eBook release, with possibly two special events to drum up the support and social media side to the releases. 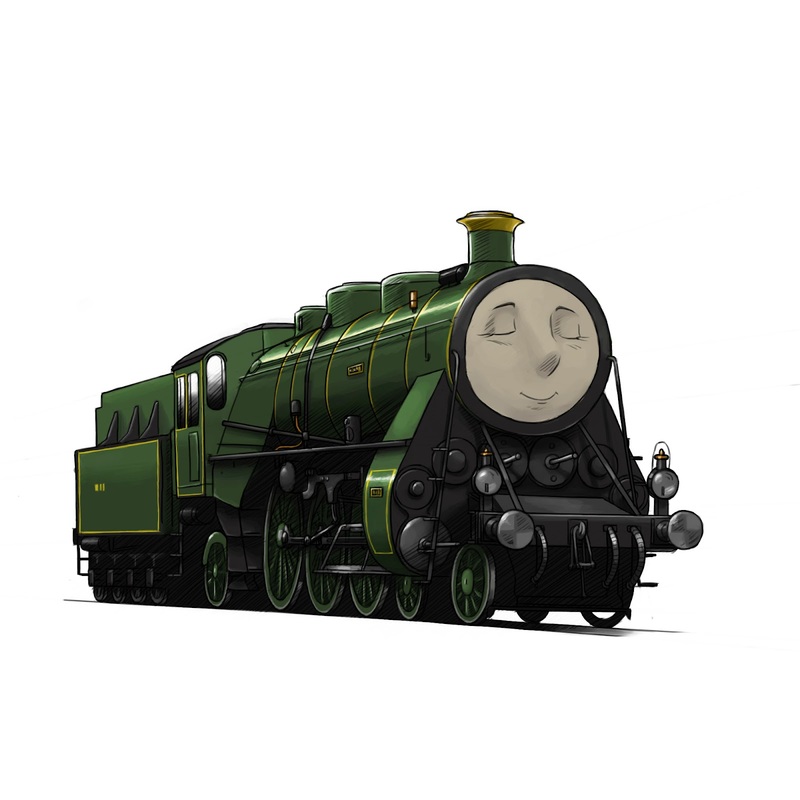 We are more or less set on Book 2's storyline and characters, with the main protagonist to be revealed officially on the Facebook group on the 15th September 2012. 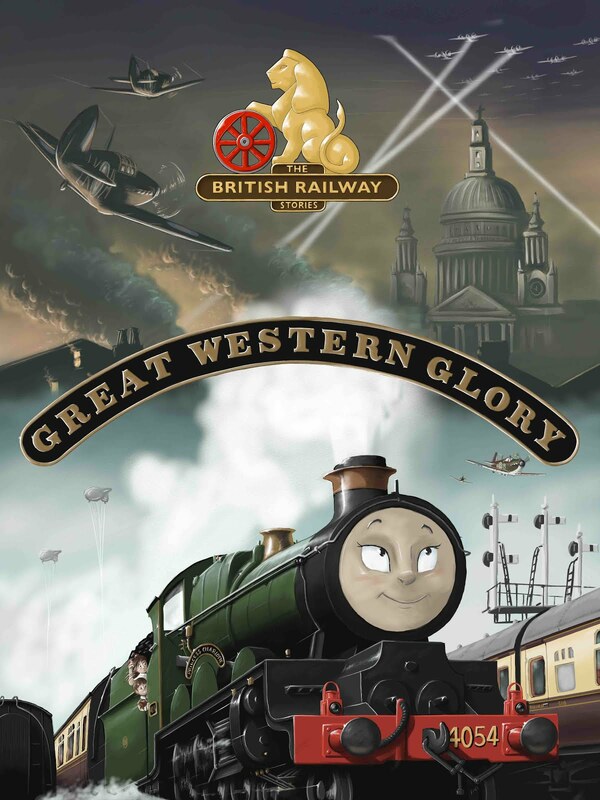 I'm very excited about the next book and I think the potential for more of the historical side to railways, and Dean's obvious artistic talent, to be shown is great. I'm very positive about the future of the company and our stories - and you should be too, but we can't do it without your support and the necessary sales to fund things such as the hardback books, merchandise and the new YouTube series. Soon, I'd like to be able to announce that we've managed a tie in with a very important part of Britain's railway heritage, but that is for another day and hopefully once all details are thrashed out and contracts signed. and the first officially introduced female character of the stories. Very nice indeed, although the paint on the QJ is the wrong color. Like most steamers, QJ's were ordinary black in service, not sky blue. I don't suppose it'd be possible to commission a painting like these? I'd love to have one of an American steamer done up like this, face and all. If possible, I'd like to help make an U.S. based storyline, or at least have some American steam engines made to go along with these engines. Drop me a line sometime, I'd be happy to talk about it further! Qian-Jin does actually represent a real QJ locomotive, which was an experimental Gas Turbine locomotive (painted in this livery). We've done our research, you know ;) We liked the sky blue one better! 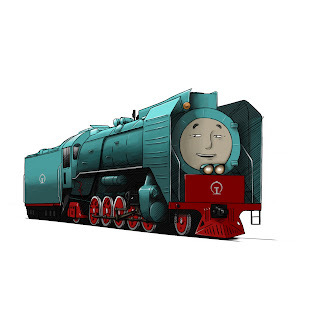 I was wondering if you could be introducing an Indian locomotive. Do one of one of my characters from the series I'm willing to write "Tales of the Santa Fe" like Camille (Atchison Topeka and Santa Fe Railway #3751), Casey (ATSF #762), Tex (ATSF #5000) or the red and silver EMD F unit.